Smoke & Mirrors is a full-service, post production company, driven by creativity. We transform powerful ideas into visual reality for the advertising, film and music industries. We bring expertise and passion to our wide range of services; design & animation, shoot supervision, colour grading, visual effects and CGI. In addition, we have a dedicated print studio focusing on high-end design, retouching and photography. In 2014, we launched our audio production studio expanding our offering further into sound design, voice & foley recording, mixing and original music composition. This enables us to provide our clients with a truly end-to-end service. Furthermore, through our sister company Rock Hound, we offer full creative services for content creation and digital execution. Our story began in 1995 in Soho, London, when five creative talents came together to start a new kind of post production studio; one that was entirely creative-led. Ever since Smoke & Mirrors’ inception as the original London post boutique, we’ve never stopped growing. That pioneering team of five has since become a global company with more than 350 employees in six offices around the world. From New York to Amsterdam, Sao Paulo to Shanghai, together, we’ve stayed true to our commitment of putting creativity at the forefront of every decision and won over 150 awards in the process. We may have come a long way, but what still drives us is finding the beauty in the finishing touches. That’s where the magic lies. Want to know more? Check out our work or get in touch here. 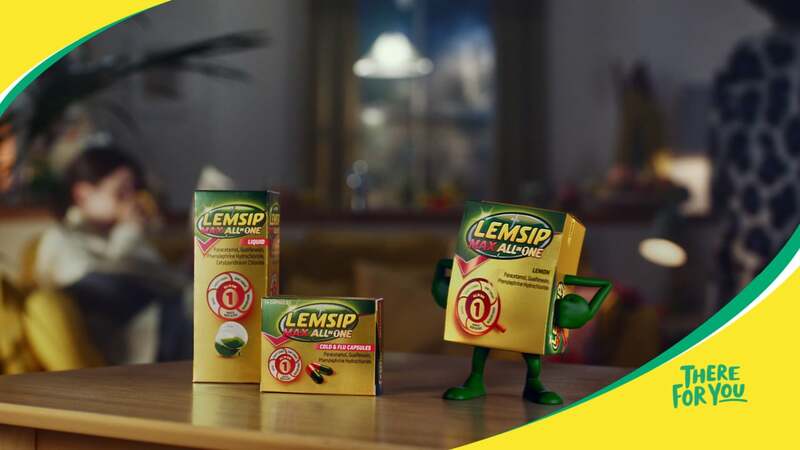 Havas London’s new ad for Lemsip features CGI character design by yours truly, boasting a newer, friendlier exterior for the first time in ten years. Read more here.